Legal Translation Services. Translate legal documents from any language. 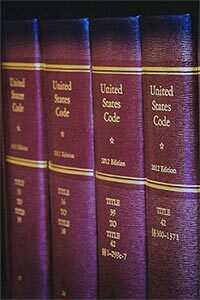 Legal translation services are available from Translations Services USA from or to English and other languages. Our premium translation services are intended to give an accurate understanding of legal documents and contracts. Alternatively, if you need a legal contract to be localized for another market, we can advise on legal specialists who can make your document abide to local law. Whether you require the translation of a summons or complaint or the transcription of an evidentiary tape we are able to provide a high quality service, on budget and on time. The importance of accuracy in any legal translation is absolutely essential and is something we pride ourselves on at Translations Services USA. All of our legal translators are mother tongue linguists who live in-country. They are tested, trained professionals with at least five years legal translation experience. All translators working on legal documents will be suitably qualified in the required area, such as contract law, employment law or any other discipline if required. Our service will ensure that you have one point of contact for all of your legal translation requirements. Whether it's a marriage certificate, letter, document, website, contracts, judgements, summons or any other type of legal material we are able to deal with it and return it in the format you require. On time, on budget and of the highest quality possible. We are able to offer certified legal translation in hundreds of languages, whatever your requirements may be. Rest assured that when you start dealing with Translations Services USA you will receive the very best in service. We don't charge extra for proofreading, this is always included in the base price. For ongoing requirements or large projects we will maintain a translation memory for you. This means you never pay for a sentence to be translated twice! Also your terminology is kept consistent throughout your literature. With projects over 10,000 words, it is common for prices to be reduced up to 40%.